Bangalore is truly called a Garden City as it houses numerous gardens, parks, and lakes. The favorable climate and topography, luscious greenery in the various parks at different parts of the city favor the name. IT is flourishing in the city, yet the city is maintaining the glory of its name. Various IT parks set up in the city also adorns beautiful parks that add to the charm of the city. The city has many splendid parks which are truly refreshing and rejuvenating places to be in. Here are few parks that will grab your attention. A large area covered in lush green trees and lawns. The Cubbon park is indeed the green paradise for everyone who loves nature. The park is well kept and is adorned by various famous statues and building that adds to the exquisiteness of the park. The park is a major landmark in the city as well as contains major buildings that are either historical monuments or government offices. The park is home to various species plants and trees and planned avenues. The park is visited by thousands daily, being in the heart of the city. The garden amidst the city has a beautiful aquarium, a glass house amongst many other attractions. The garden is a perfect example of horticultural nurturing. The plant wealth of Lal Bagh is immaculate and very attractive. The beauty of the landscape is mesmerizing. The exotic species of plants and trees are indeed worth your while. The glass house and the Lal Bagh host the most spectacular flower show every year, which is worth visiting. The park also contains many artistic architectures like the Bandstand, glass house, the lecture hall, the statue of Chamaraja Woodeyar, Kempagowda tower etc. Lal Bagh also hosts some major programs which showcase the traditional art forms of Karnataka. The horticultural department preserved the garden quite well and appreciable. The garden is indeed a place worth visiting for nature lovers. Lal Bagh botanical garden, one of the best parks in Bangalore, preserves various species of plants that are vanishing from the face of the earth. Named after the British Resident of Mysore Arthur Henry Cole, the park is popular as Freedom Fighters Park. The park came into existence in 1914. The park’s Bandstand witnessed the performance of Band of Bangalore Rifle Volunteers. The park contains play area for kids and joggers track too. The park is well maintained and is very user-friendly. Wheelchair access is also possible, with specific tracks laid up. The park is filled with joggers and various people who love to enjoy the fresh air. Enjoy the fresh breath in this quintessential park with a large canopy of giant trees that gives a shady layer to the park. The park is named after the Dewan of Mysore MN Krishna Rao. The park is apt for jogging, morning walks, and yoga. The giant trees are an excellent source of fresh air in and around the park. Many events are also held in the park to entertain the residents nearby. Kahale Bande or the Bugle Rock is an enormous rock in the Basavanagudi area in Bangalore. The Bugle rock seemed to have come up to the ground above due to some earth movements, giving rise to a peninsular kind of formation. The tower on the Bugle rock built by the Kemp Gowda II gives a panoramic view of the whole city of Bangalore. The park is an ideal place to spend a day. The walkways are clean and well maintained. The park also contains three temples. The park contains mini waterfalls and fountains and is truly the place to breath in the fresh air. The big bull temple in the park is an ideal place to find peace and serenity. There is an open gym in the park for the public to use. One of the must-visit parks in Bangalore if you have kids to enjoy and play around. The vast play areas are perfect grounds for kids to play in nature. The park has plenty of slides and animal figurines that kids would enjoy playing. The park also has a fountain and a sandpit. The park is a soothing place to enjoy a walk. Many people come here with kids and elderly people to fresh up. 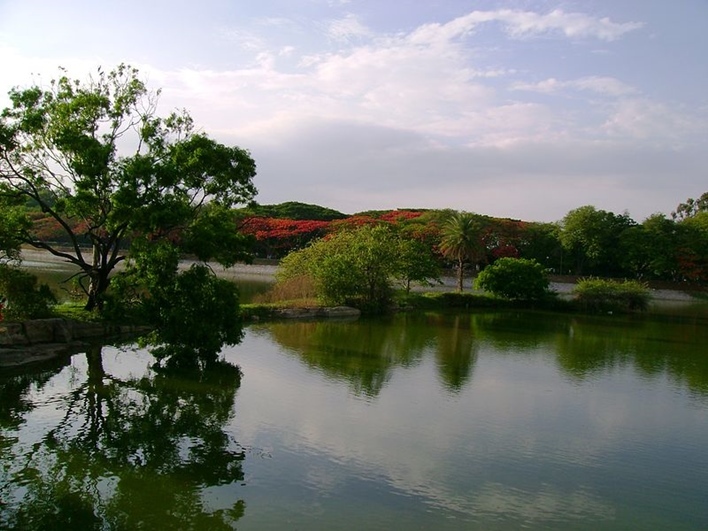 JP Park is a biodiversity park located in Mathikere. The lawn and the four lakes make the park awesomely beautiful. The plant wealth of the park is impeccable. Jayaprakash Narayana Biodiversity Park has three groves and each groove has mini grooves. The mini groves are knows as Rashi Vana, Nakshatra Vana, and Navagraha Vana. The plants and trees in the park are ascribed to specific sun signs. The park has some attractive structures that add beauty to the park. The park hosts a musical fountain show, which is very elegant. In the memory of field Marshal K.M. Cariappa, the park was laid in 1966. 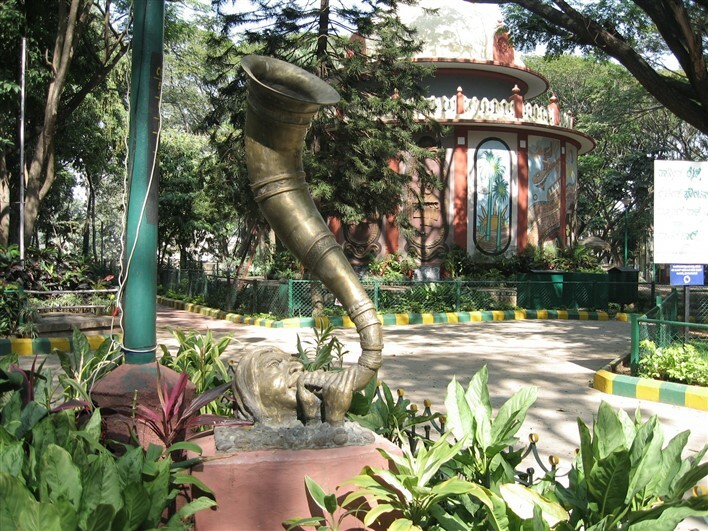 One of the best parks in Bangalore, Cariappa Memorial Park has various amenities like amusements, food courts etc. The park has artificial waterfalls flowering plants and a statue of KM Cariappa. The park has joggers track, beautiful pathway, play area for kids, Burma bridge etc. The park is also visited by different species of birds which are seasonal. The Butterfly Park inside Bannerghatta Zoo is the first Butterfly Park in India. 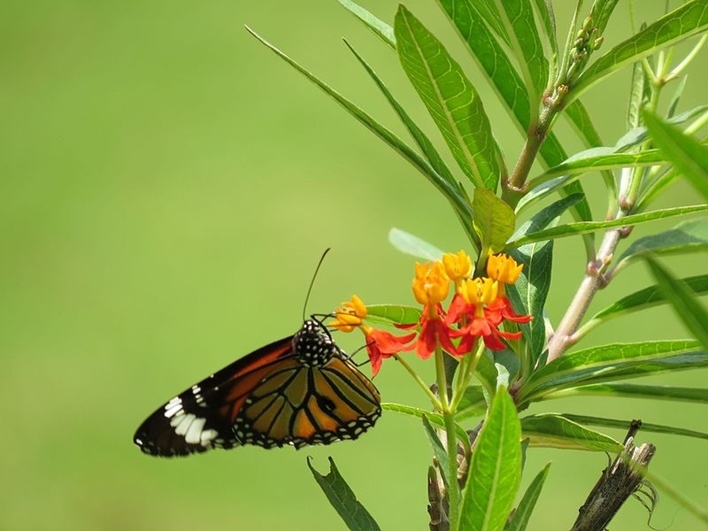 The one of its kind parks in Bangalore has set the tropical climate and the shrubs and plants that let the giant and Monarch butterflies can live. The park is well suited for the butterflies to live in. One can spot more than 20 species of Butterfly in the park. The park also contains various details of the species of butterflies, worth reading. The park is well maintained and has some statues of Mahatma Gandhi, in the famous sitting and standing positions, single as well as in group marking the various stages of his freedom fights. The park has some benches and some fountains. The park also some lawns and trees that make the park more alluring in the hustles and bustles of the city. The park lies amidst a flock of flats and apartments in a calm and quiet area. The park has well-maintained pathways where people can walk and enjoy the scenery. The lake is splendid and well kept. The place is ideal for relaxing and enjoying a morning walk. Kids play area has good slides and swings where kids can enjoy. Evenings the kid’s play area is always packed with people. Explore the parks in Bangalore and have fun.